So manly and invigorating, it may as well be made with testosterone. 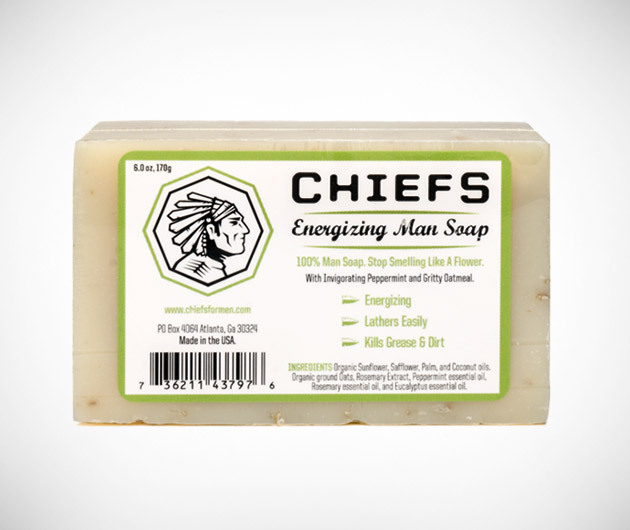 Chiefs Energizing Man Soap annihilates grease, dirt and grime, building up rich creamy foam that washes away with ease. Ingredients include coconut oil, rosemary, peppermint and ground oats for glowing skin and the ultimate macho smell.